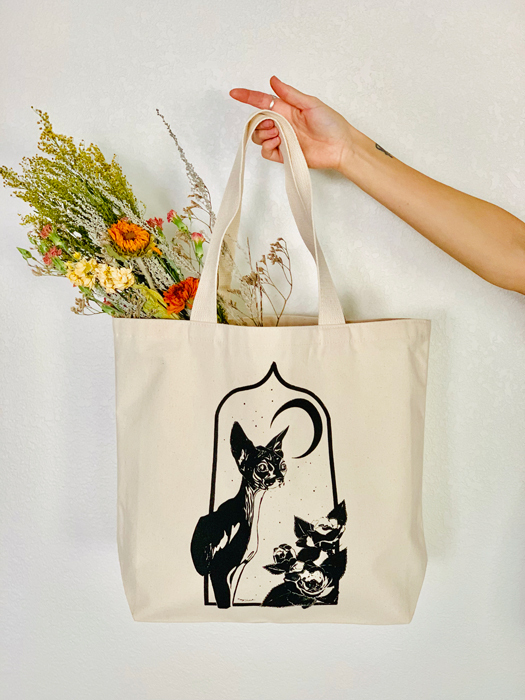 Get tons of compliments with this unique hairless cat hand-printed tote! Silk screened with water-based inks by the artist on USA-made thick canvas totes. Gusseted to sit flat with all your books and wine inside.